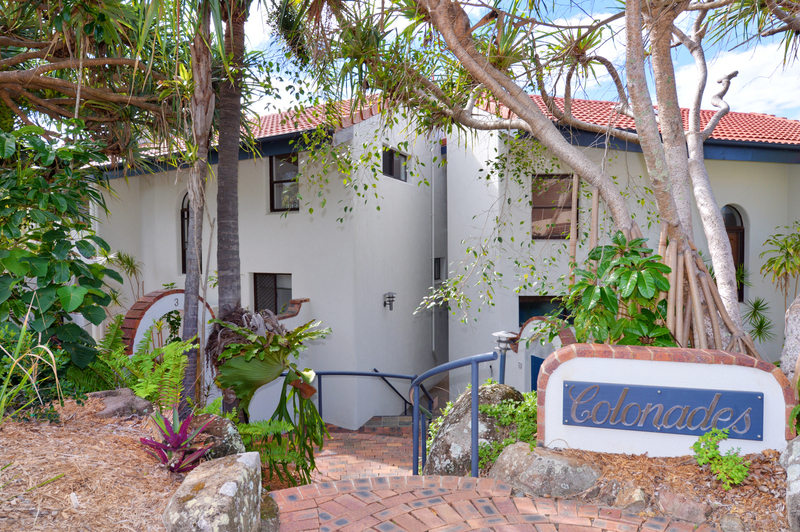 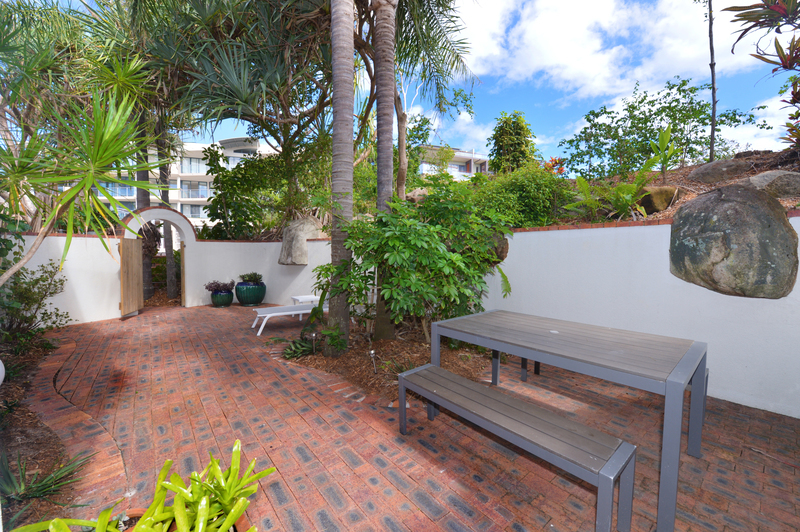 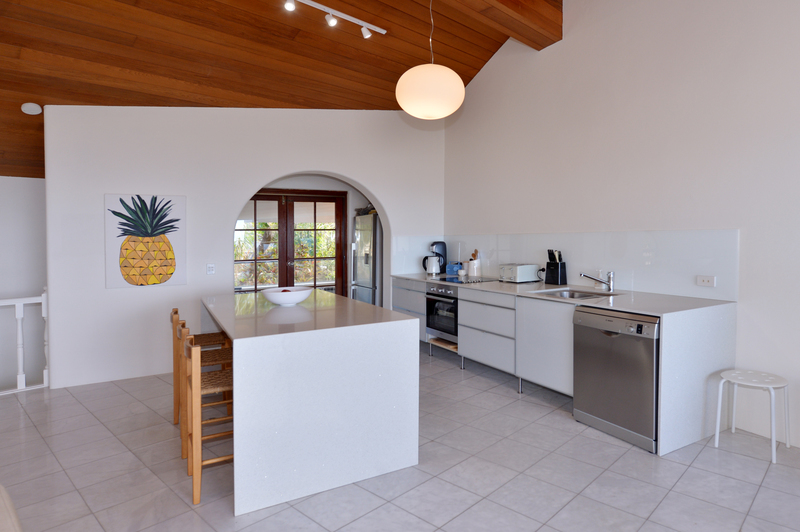 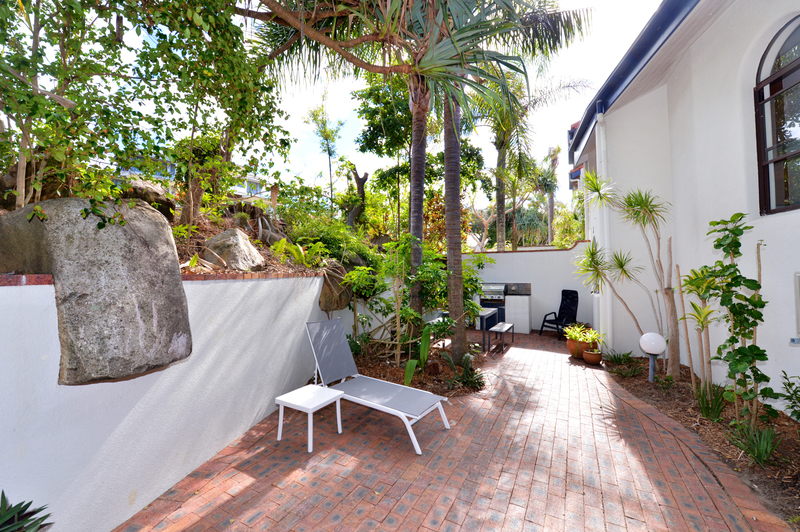 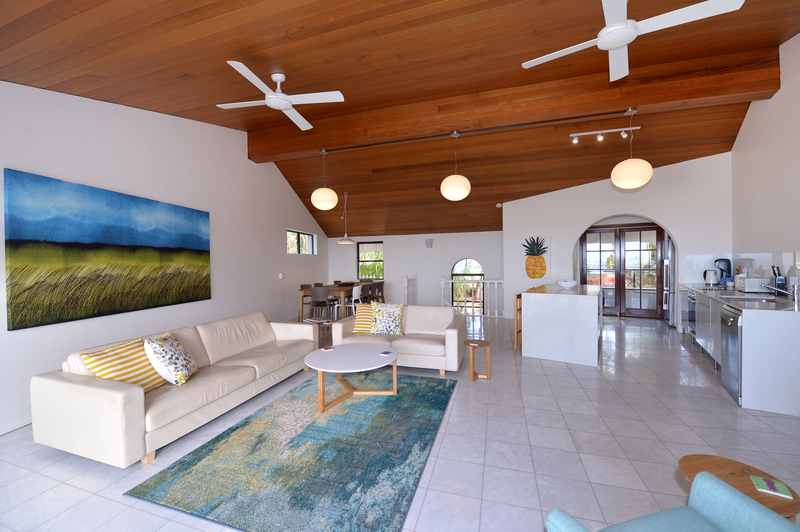 “Colonades” is a beautiful Spanish inspired villa, situated only a few minutes walk from the main village of Sunshine Beach and a stone’s throw to the patrolled beach. 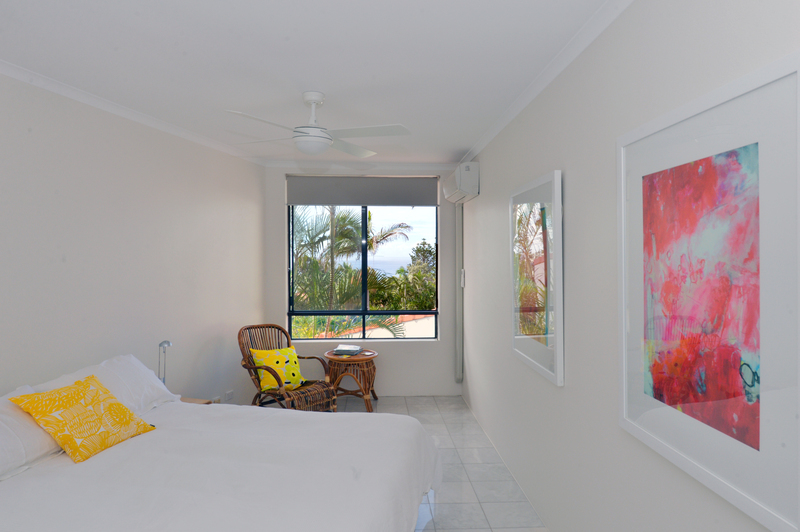 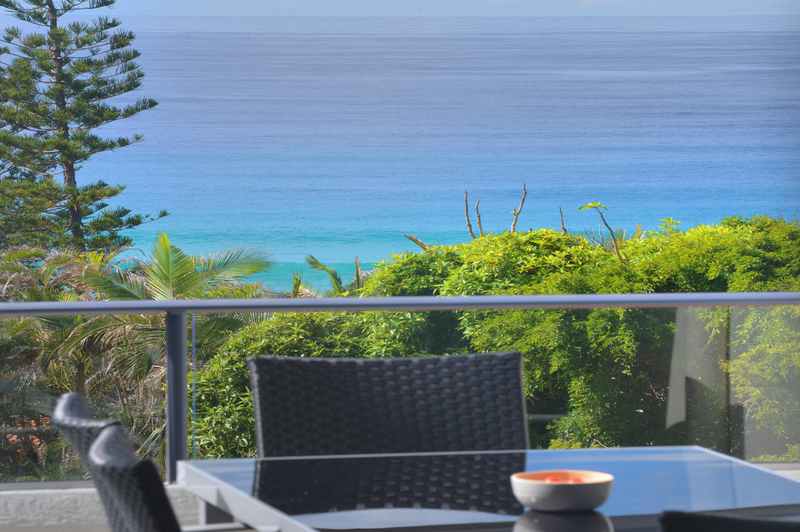 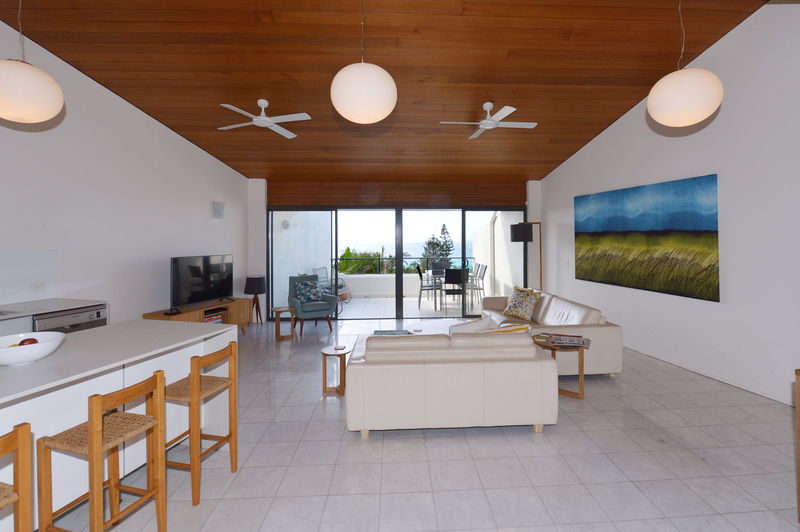 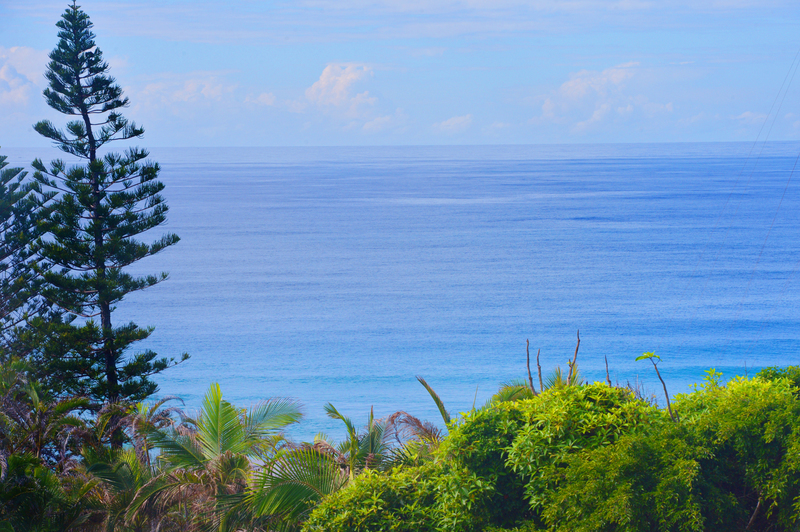 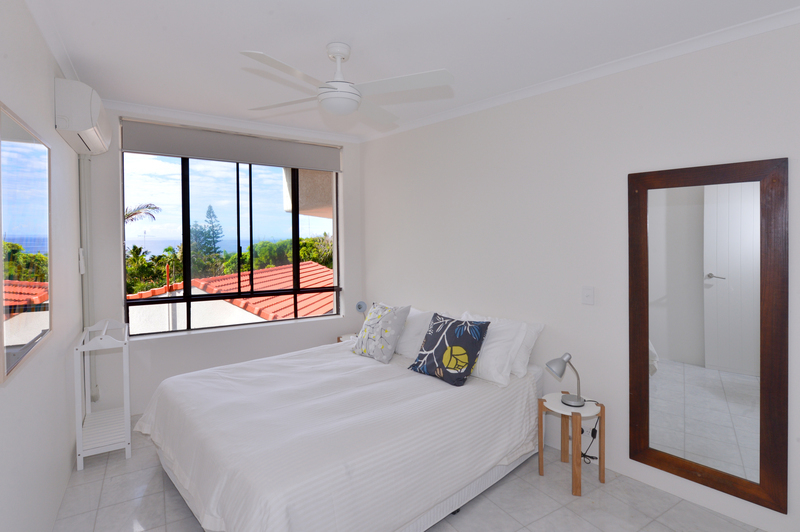 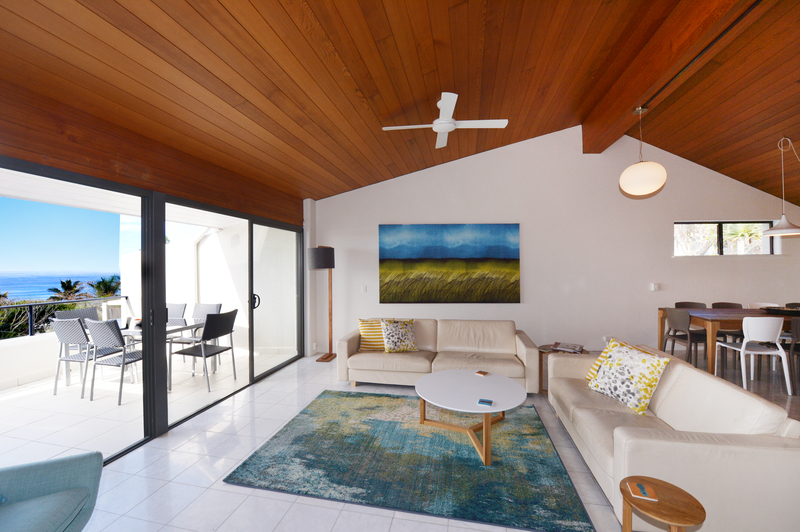 With stunning ocean views and sleeping up to 7 guests, this 3 bedroom, 2 bathroom home provides the perfect holiday location for those wanting to leave the car behind. 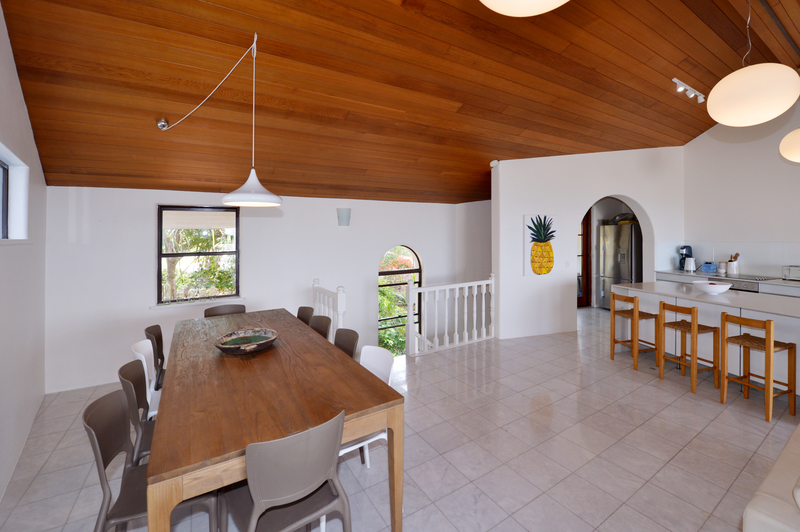 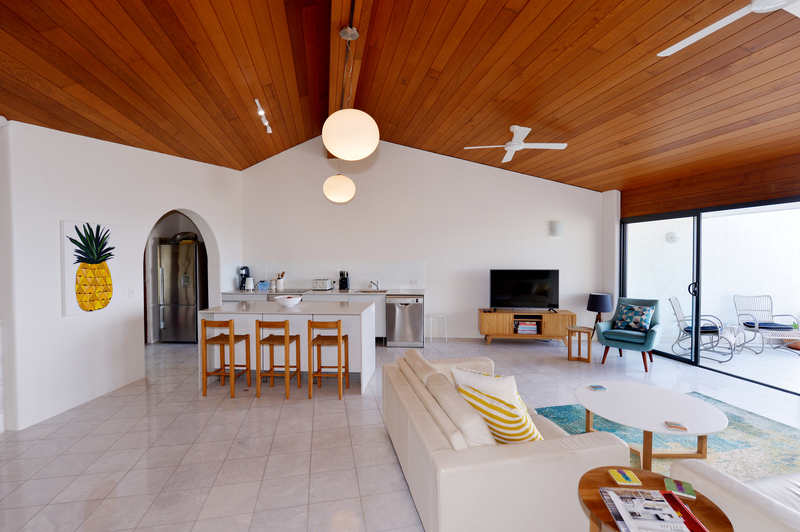 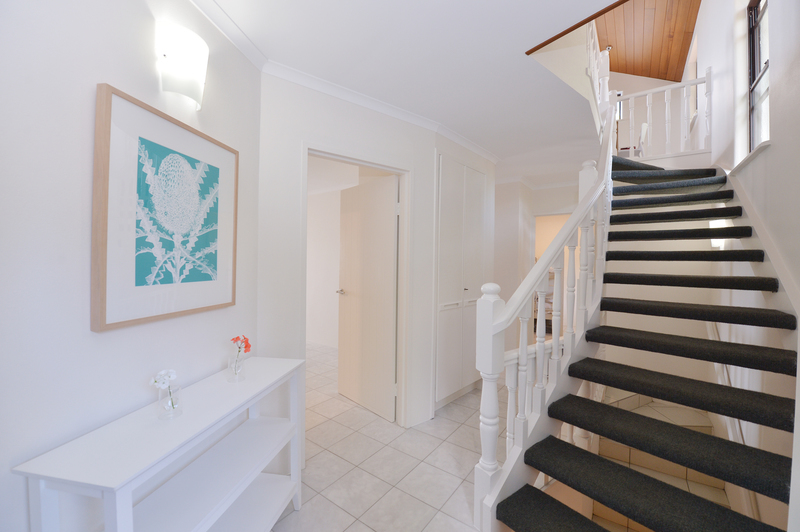 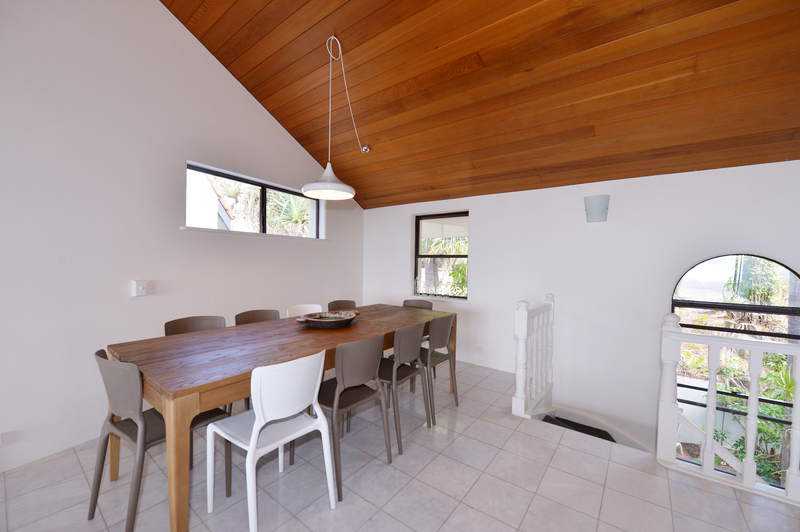 The two-level villa has been recently re-decorated in modern white tones and with contemporary furniture. 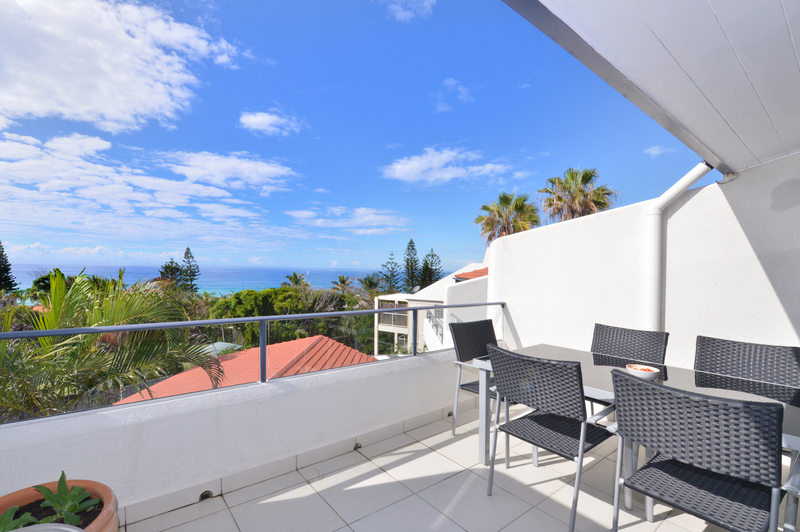 It’s the perfect place to wake up on a sunny morning and either enjoy coffee from your balcony looking out to the ocean, or pack the beach bag and head to the beach. 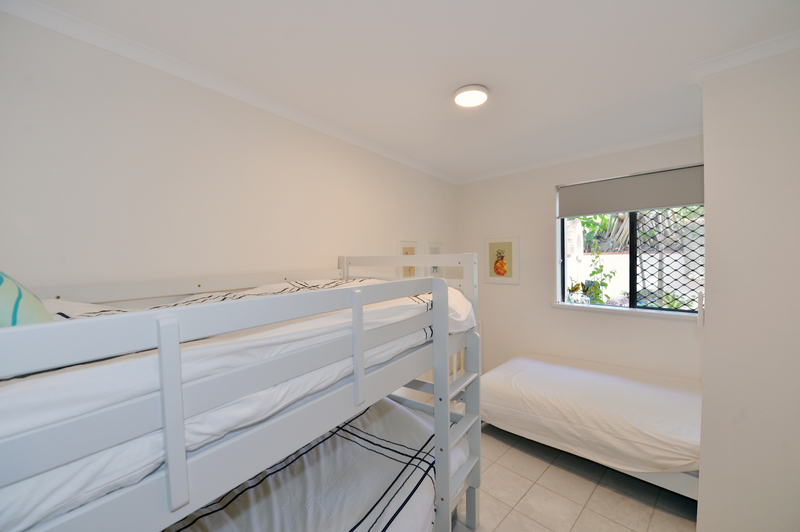 Bedrooms 1 and 2 have queen beds, while bedroom 3 offers a single and bunk bed. 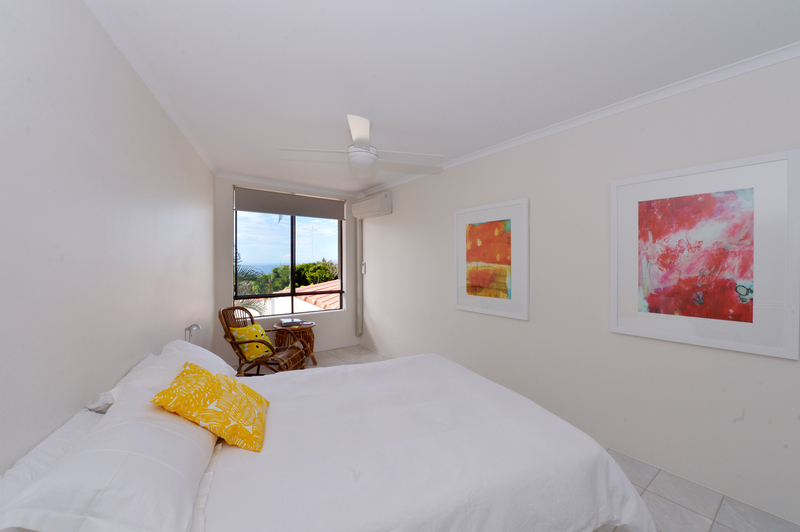 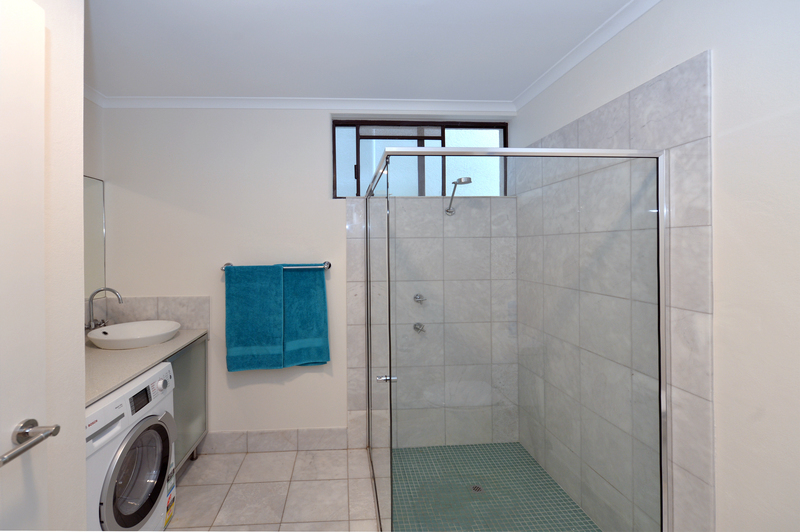 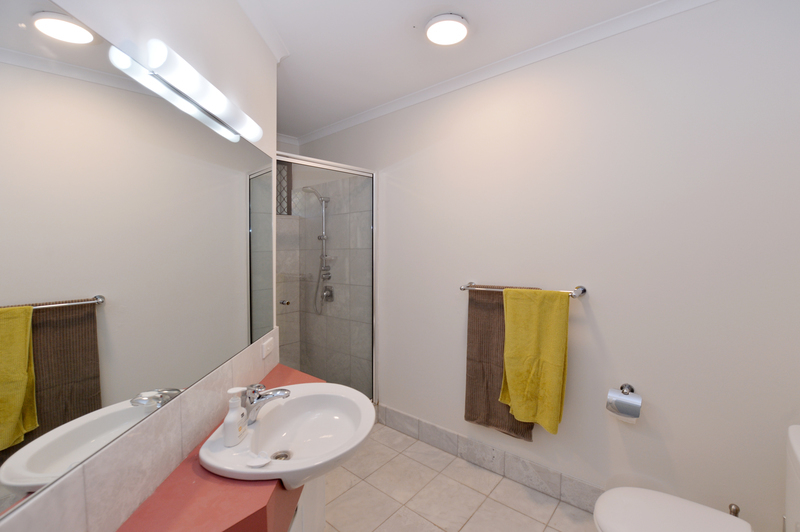 All bedrooms are air-conditioned. 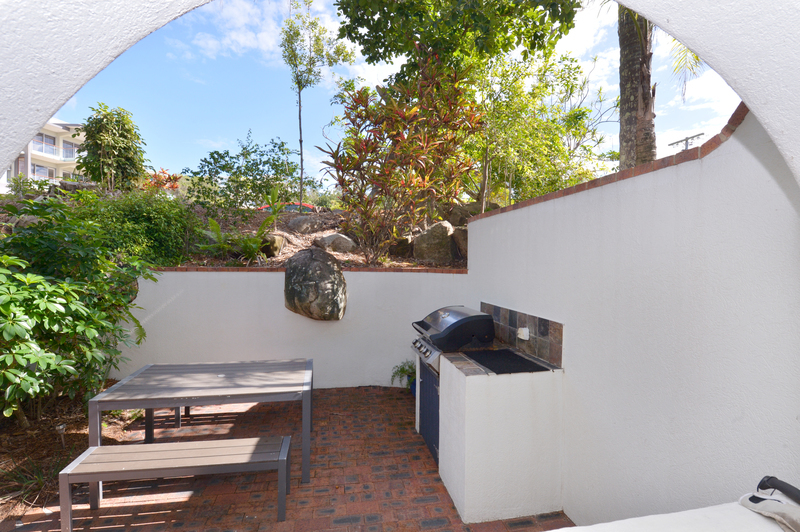 Once the beach has worn you out, come back to the complex and relax by the lagoon style pool or have a BBQ in your own private courtyard. 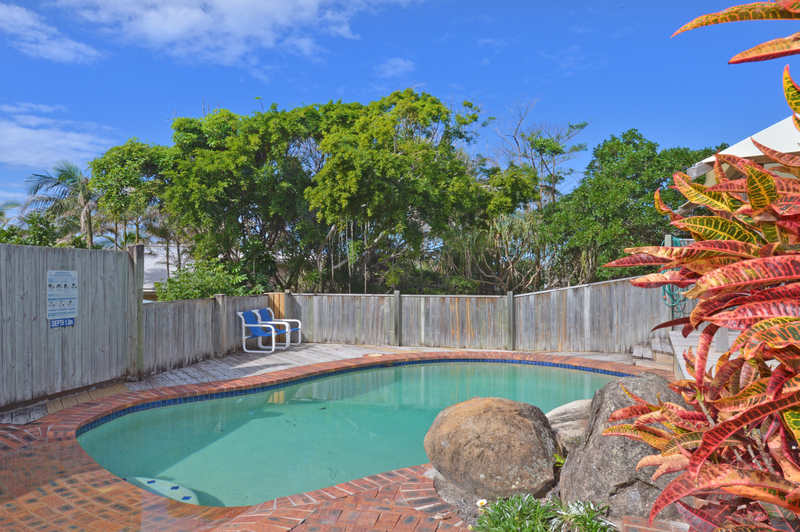 There is a minimum 7 night stay at this property in all seasons.